This leopard is one of the sub-adult female cubs we see in the tourism area quite often. She is quite bold and we hope should provide great views in the future. 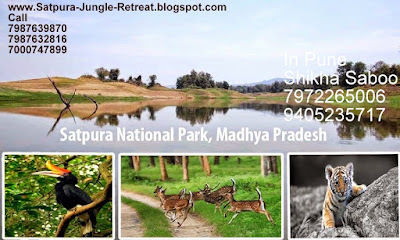 As if now, their is no online safari booking system for Satpura National Park as available for Kanha, Bandhavgarh, Pench & Panna National Parks of Madhya Pradesh State. Best way is to book the safari through resort in which you have decided to stay. The most common way is to book the safari through booking counter of Park management at the entrance gate. One such counter is located on the bank on Denwa river in Madhai entrance gate. Here booking starts from early morning from 06:00 hrs. 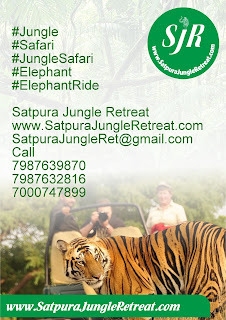 Same is the way for elephant safari booking. Here park authority will ask you to fill up indemnity bond on compulsory basis. For more information & assistance one can also call to Field Director office of Satpura National Park, located in Hoshangabad town. Just like any other national parks of Madhya Pradesh, here also open safari jeeps are used to visit the jungle. In any safari vehicle, total 08 persons are allowed to sit in which 01 guide & 01 driver are compulsory to accompany the visitor during park safari or game drive. It means in a single vehicle 01 to 06 tourists can sit together. 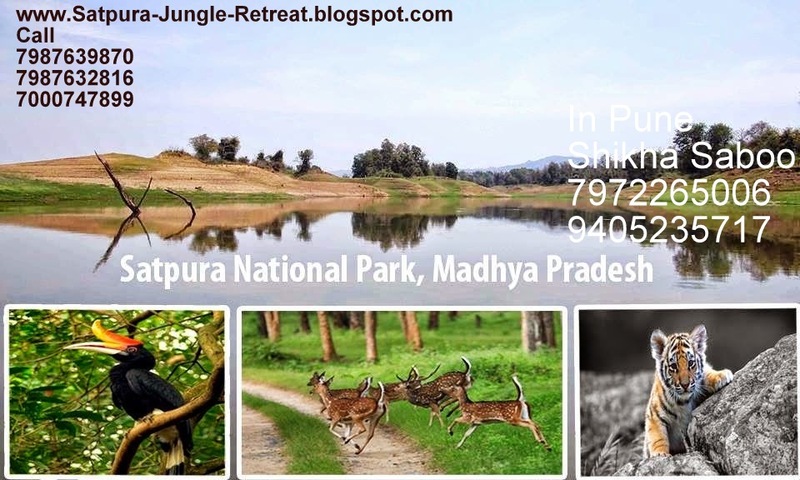 Unlike any other national parks of Madhya Pradesh, here safari vehicle are owned & managed by park authority. It means, here we will not find difference in safari vehicles standard/design as we find in Kanha, Bandhavgarh or in Pench National Parks. Still, in record, luxury resorts have donated the vehicles to forest department and during safari, they get their same donated vehicle with their resort logos in vehicles. As it is not a crowded wildlife destination, their will be no difficulty or struggle to get safari tickets except in festival or new-year weekends. After completion of all formalities, one can go ahead to enjoy the jungle safari. Here safari begins from crossing the Denwa river through motor boat, provided by forest department. It gives a pleasure of small boat ride in early morning when sun is peeping from satpura hills. On reaching the next shore, one may have to wait for 5-10 minutes for jeeps and some more formalities. 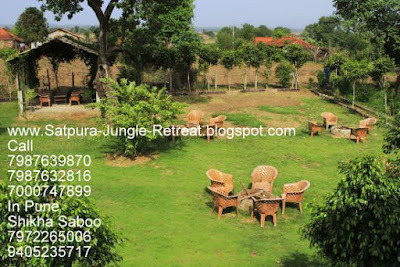 Here forest department accommodation are available and most interesting thing is to share some time with spotted deers, blue bull babies, chousingha babies etc. One can touch them, feel their closeness. Actually they are the wild animals seized from nearby villages, house holds who had put them in enclosures illegally. Such wild animals and their babies are sheltered here in open, feeded time to time by forest officials and can be seen any time roaming freely without any fear of human presence. Once all the formalities will be completed, take the safari jeep with guide & driver and begin the game drive. No-one is allowed to get down from vehicle except at some points where visitors are allowed to do so like in elephant camp, Lagda camp, view points etc. Here safari is a great experience for those who enjoys the wildlife in an aggregation of trees, birds, mammals and reptiles. As is now their is no route system in Satpura park but due to time limit, visitors usually cannot go beyound some points so as to reach exit point in time to avoid any penalty. 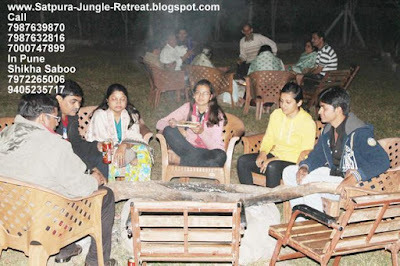 Tiger Reserve Area Aprox 1420 Sq. Km. Pench National Park 250 Kms. Kanha National Park 400 Kms. How to reach In order to reach Satpura National Park, nearest airport is at Bhopal city which is just 200kms from park. Bhopal Airport has connectivity with Delhi & Mumbai. Nearest railway stations for Satpura National Park are: Itarsi, Sohagpur, Pipariya & Hoshangabad. 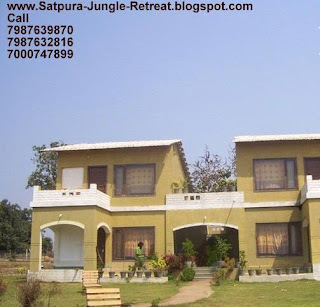 Their are 03 entrances for Satpura National Park visit. First is close to Pachmarhi hill station. Second and popular one is from Madhai Entrance gate which is about 100kms from Pachmarhi close to Sarangpur village. Madhai Entranct Gate is about 19kms inside from Pipariya-Hoshangabad road. Diversion for Madhai is close to Sohagpur town. 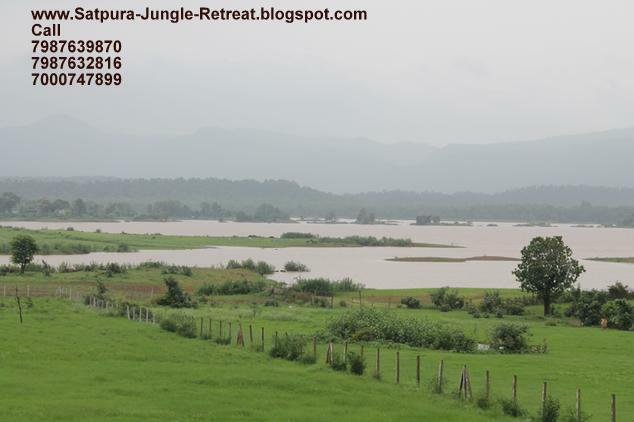 Third entrance is for those who are staying in MP Tourism: Tawa Resort located on Tawa Dam. It is close from Hoshangabad town. 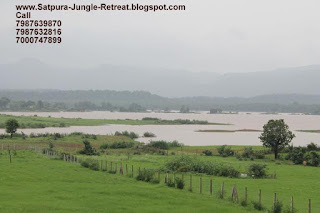 In order to reach resorts in Satpura National Park, we recommend large cars with good ground clearance feature as approaching roads is muddy, rough and often poses great problem during rainy seasons. 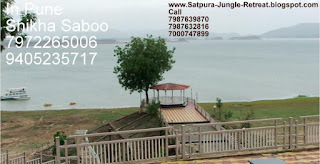 At the same time, due to lack of sigh-boards, consult local villagers or resort manager to reach the resort comfortably. 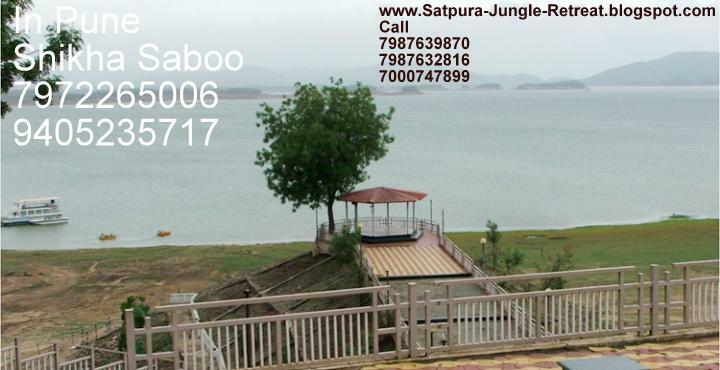 Satpura National Park can be reached by road from/via Bhopal (170kms), Jabalpur (250kms)cities. Note : Pick up & Drop available on Extra Cost. Contact for Hotel Booking in All M.P.